After four rounds, there is finally a clear leader! 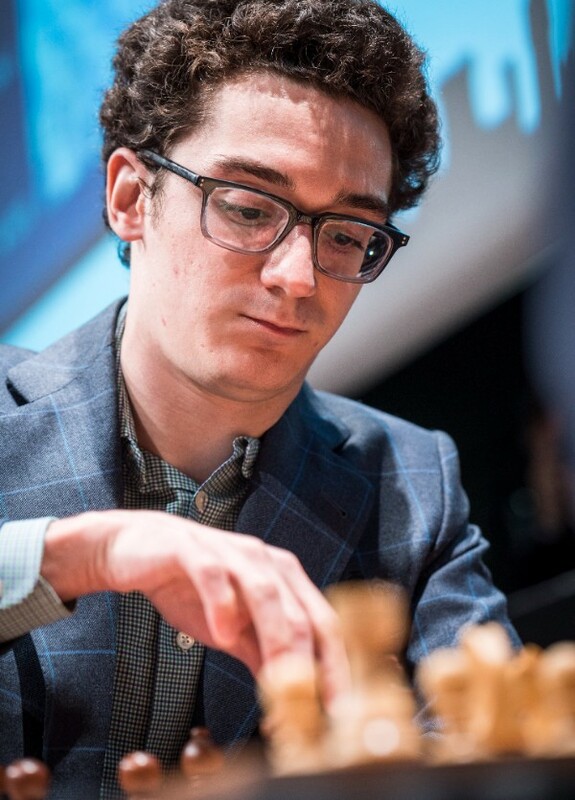 Fabiano Caruana spilled first blood by defeating Sergey Karjakin in a complicated Sicilian. At the beginning of the tournament, Caruana said he would be happy to come out unscathed after four games as he had three games with the black pieces. He now stands in an excellent position to win the event with three whites left in the remaining games. It is ironic that Karjakin is in clear last place now when he could have been leading had he not accepted the draw in a winning position against Aronian yesterday. The rest of the games were combative but ended peacefully. In the postgame interview, Karjakin admitted that any other opening choice by his opponent would have been better for him as he was completely unprepared. Caruana was out of book after fifteen moves, but, feeling that his opponent had wasted too much time shuffling his pieces, chose the most challenging continuation. Karjakin never found a way to regroup his scattered pieces and soon found himself down a pawn in a middlegame, which transposed into a down pawn endgame. Caruana converted without any trouble and now sits at the top of the crosstable. This was a critical game for the standings of the tour. 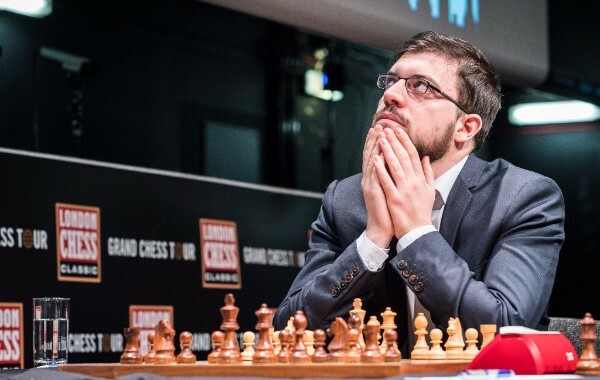 Currently, Carlsen is leading and is closely followed by Vachier-Lagrave, who must win London to catch or surpass the World Champion. 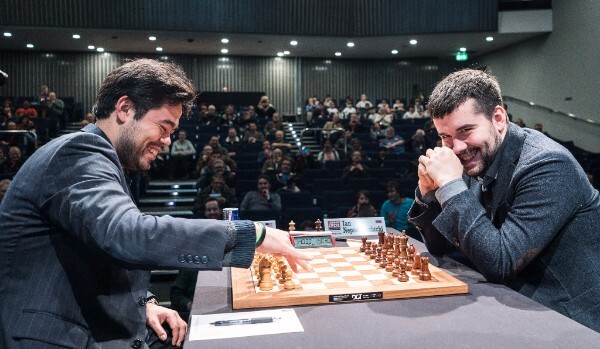 Therefore, a win would have put the Frenchman in an excellent position to claim the Grand Chess Tour title. Vachier-Lagrave achieved the better position with an extra pawn, but his imprecise decision left made his knight clumsy and allowed his opponent to mobilize his bishops. After Carlsen’s rook became active, it was hard for Vachier-Lagrave to make any progress with his extra pawn and a draw was agreed. Nepomniachtchi thought that his opponent’s preparation was excellent as he was not prepared to face the 6.g3 line against the Najdorf. He decided to accept an inferior position instead of testing the waters by playing down theoretical lines. Not knowing what to do, he exchanged all the pieces believing that even though white had the advantage, he should have enough to hold the position. 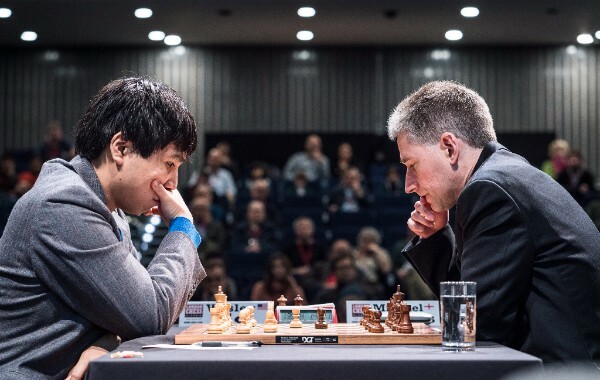 Nakamura pointed out one point in the game where he could have played more solidly and tried to build his position instead of rushing the matter. A draw was agreed when all the pieces except for the bishops came off the board. Their encounter from the 2014 Candidates Tournament was repeated with a slight modification in the opening by White. Aronian found a way to play his beloved Marshall Gambit, even though his opponent played the anti-Marshall. 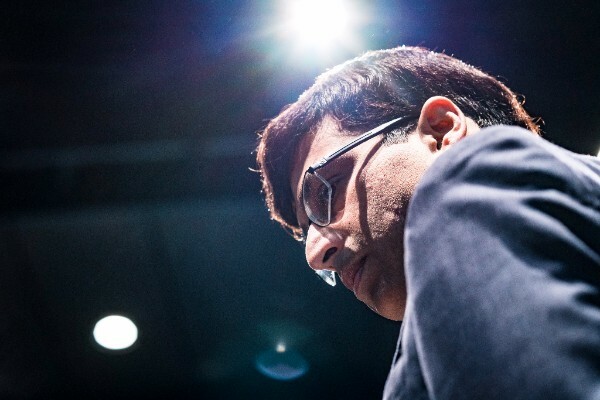 Anand had this line prepared and thought he had a solid extra pawn but had a hard time proving anything over the board. Aronian’s piece activity gave him enough compensation for the pawn and a draw was agreed when the thirty move requirement was reached. So played the reverse Benko Gambit with the white pieces, sacrificing his pawn for pressure on the queenside. Optically, White’s position looked pleasant even without a pawn, but objectively there was no clear way to gain the advantage. So played the forcing variation winning back the pawn but exchanging most of the pieces, which lead to a drawn endgame.